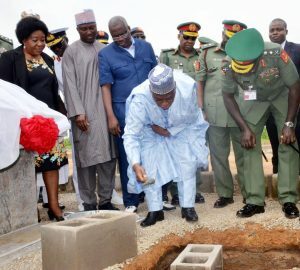 Minister of Defence, Retired Brig.-Gen. Mansur Dan-Ali, laying the foundation of Muhammadu Buhari Barracks at Giri, Airport Road in Abuja on Monday (10/7/17). With him are: Chief of Army Staff, Lt.-Gen. Tukur Bratai (R); Director of Army, Federal Ministry of Defence, Mrs Otuwe Ikenga-Iro (L); member of the House of the Representatives, Rep. Johnbull Shekarau (2nd, L); Chairman of the House Committee on Army, Rep. Rimamde Shawulu (3rd, L); and other senior Military Officers. 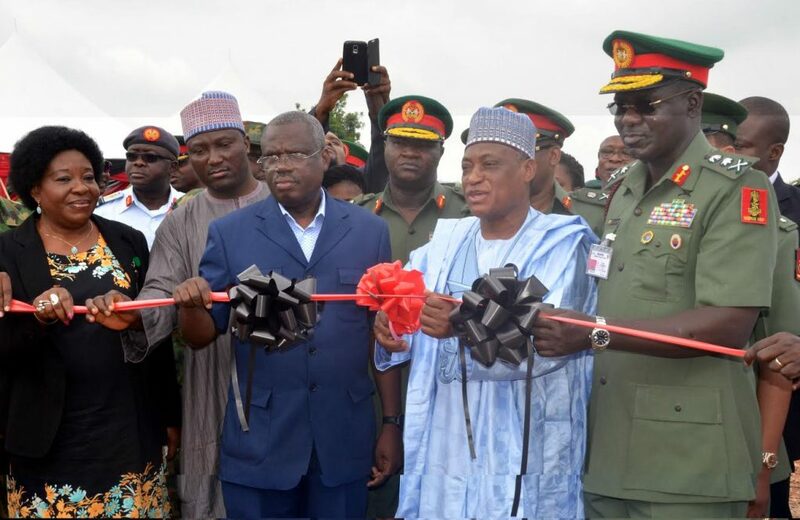 From left: Director of Army, Federal Ministry of Defence, Mrs Otuwe Ikenga-Iro; member of the House of the Representatives, Rep. Johnbull Shekarau; Chairman of the House Committee on Army, Rep. Rimamde Shawulu; Minister of Defence, Retired Brig.-Gen. Mansur Dan-Ali; and Chief of Army Staff, Lt.-Gen. Tukur Bratai, during the inauguration of Infantry Patrol Vehicles completely conceptualized, designed and manufactured in Nigeria, in Abuja on Monday (10/7/17). 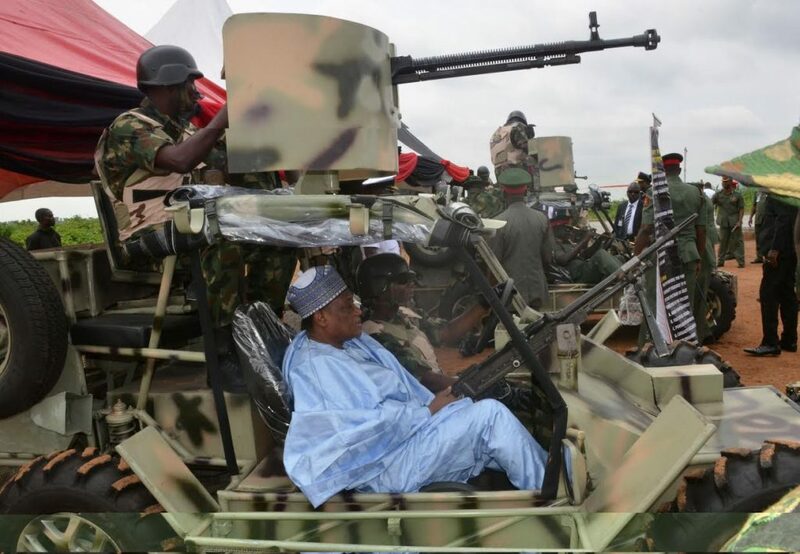 Minister of Defence, Retired Brig.-Gen. Mansur Dan-Ali test-running one the Infantry Patrol Vehicles completely conceptualized, designed and manufactured in Nigeria, in Abuja on Monday (10/7/17). 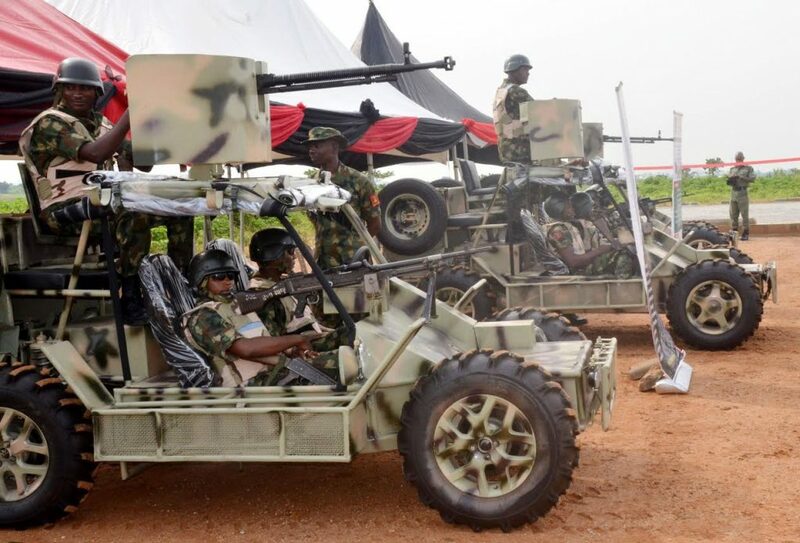 Some of the Infantry Patrol Vehicles completely conceptualized, designed and manufactured in Nigeria, which were inaugurated by the Minister of Defence, Retired Brig.-Gen. Mansur Dan-Ali in Abuja on Monday (10/7/17). 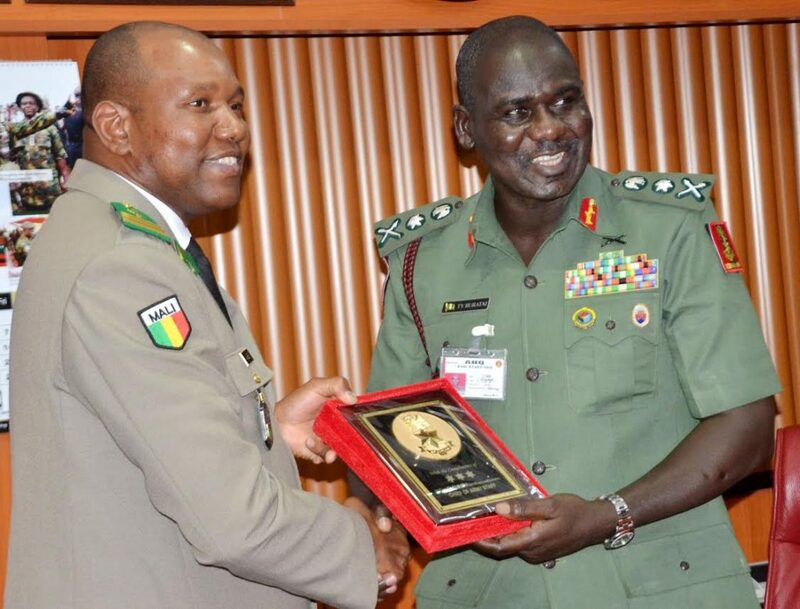 Chief of Army Staff, Lt.-Gen. Tukur Bratai (R) presenting a souvenir to his Malian counterpart, Col.-Maj Abdrahamane Baby, during the latter’s visit to the Army Headquarters in Abuja on Monday on Monday (10/7/17).